The British Summer, reliable isn't it? We can count on a few things in life; England failing at a major tournament, the DFS sale never ending, Greece & Cyprus voting for each other at Eurovision and of course The Great British Summer. However that sunny day or two will come though, and what I would urge you to have in your wardrobe, is an on trend go-to Summer BBQ outfit. This is my choice for 2017. I feel this is an outfit that can be worn to a BBQ / summer gathering, to the beer garden, a day out where you want the right balance of smart and comfort in the heat or equally perfect for a holiday evening. 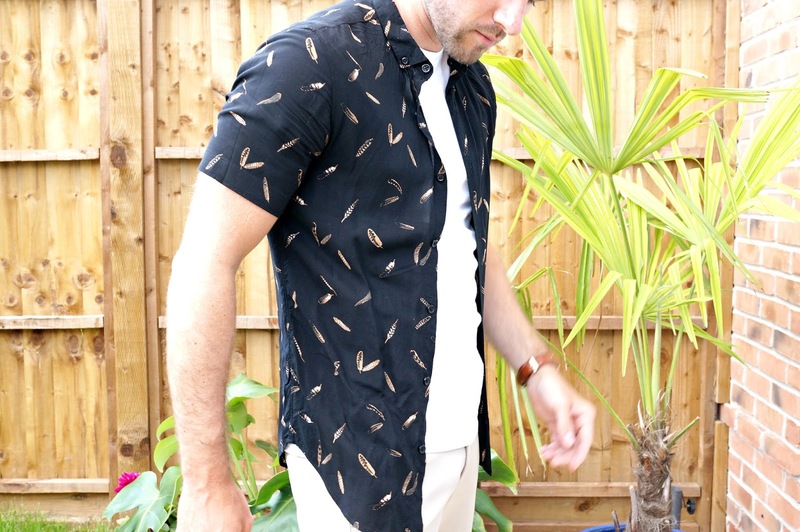 The main focus and most prominent item is the Black Feather Short Sleeved shirt. I feel I am well suited to darker colours. 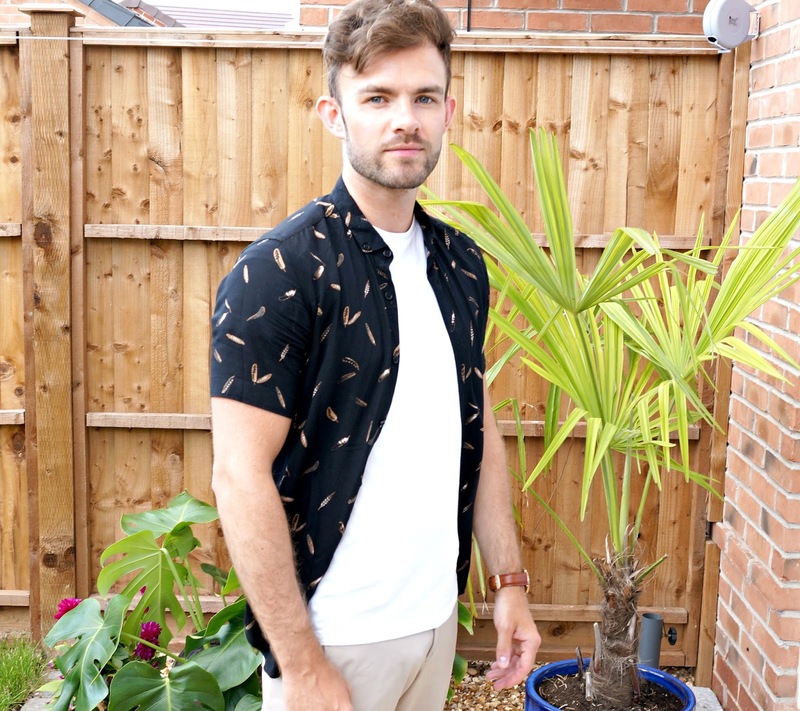 Rarely would you see me in bright bold colours and when looking for a summer shirt I was keen to find something with a nice pattern to catch the eye without being too bold and garish. It fitted the bill perfectly, the gold feather contrasting detail against the black fabric - it was lightweight (made out of 100% Viscose) which was ideal as it was purchased primarily for my upcoming holiday. I also felt it could be matched well with some light colour trousers offering a great outfit combined with the right footwear and accessories. I decided to layer underneath a plain round neck white T-Shirt, I felt it added a nice contrast to this particular outfit and the look that I was looking to obtain. The trousers you see featured here are a cropped greige pair from Zara. They are made from polyamide & cotton, with a little elastin allowing a nice bit of stretch, which is particularly welcome after holiday dining. These as an item alone are such a staple of my more formal summer attire. They are easily combined with smart shirts, polo's & cardigans. Keeping colour contrast in mind I would recommend navy, blues, black and white as an ideal combination. 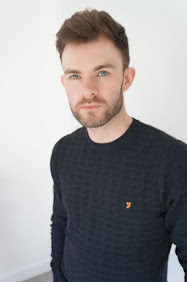 Here I use a woven leather belt to break it up, the brown leather keeps a nice tone alongside the dark gold detail in the shirt, which you will see I have complimented this with my choice of watch, which is my Daniel Wellington St Mawes featured in a recent post. Now for the footwear. This year while on holiday I was strict with myself with how many I took (it was seven last year) What couldn't be left behind were my brown leather woven laced loafers. Made completely of leather apart form the synthetic sole, they are the perfect addition to your summer wardrobe. The tan leather isn't too light in colour which maintains a look of quality. 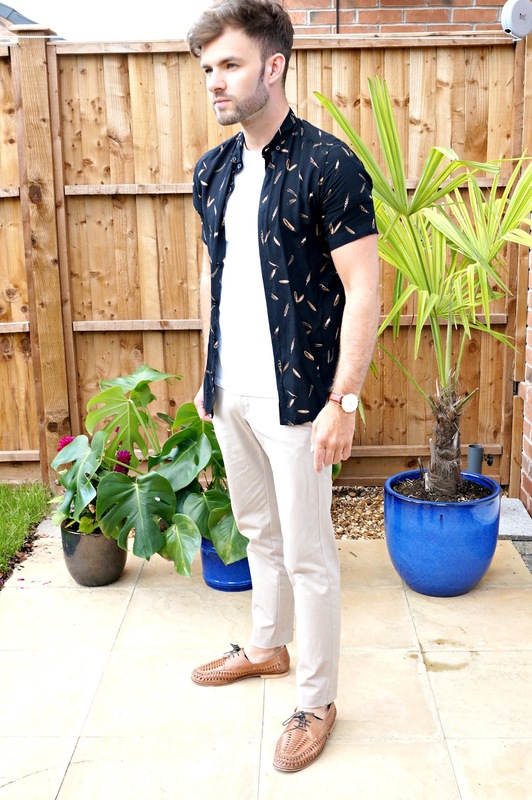 Short sleeved shirts may not be at the forefront of every guys mind when putting together an outfit for the summer, but it should. A look pioneered by the likes of James Dean & Marlon Brando, with plain shirts in the 50's & 60's, before more Miami vice inspired patterns hit the scene. They look best with a good fit on the arms. I'd recommend working on those biceps and triceps to fill out the sleeve to get the best look, if not a gym goer just ensure you go for a slim fit without being too tight, this is even less of an issue if worn open over a plain T-Shirt. Enjoy the summer, enjoy your holidays. I would love to see how you have put together your short sleeved shirt outfits this year. Tweet, Instagram or email me your summer style.